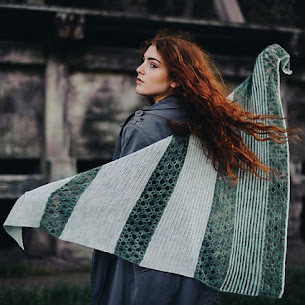 knitting star, Anna, designed a Shawl and named it ‘De Anima’. I was intrigued where this name came from. Anna explained, then me, not being very philosophically minded – was mind blown. This conversation led to me writing a guest blog about this idea. De Anima or On the Soul – the treatise of Aristotle, in which the concept of Tabula Rasa in Western philosophy originated. Tabula Rasa refers to the idea that we are born without built-in content and that all we know comes from experience and perception. 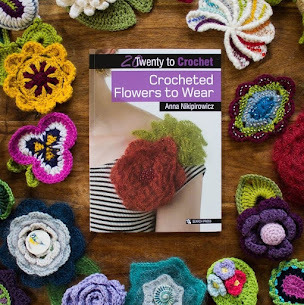 It is a truly fascinating concept, and I (Anna) very often ponder it when teaching knit and crochet. We acquire skills through practice. Some of us are taught those skills at an early age, but do we possess them already in our unconscious mind? The same can be said for talent… do we acquire it or are we simply born with it? I think honestly that everyone is born with the potential to do remarkable things, but the skills come with practice. When you’re a baby, then a toddler, life is just thrown at you. A bottle is put at your mouth – you drink it. A crayon is put into your hand, you realise it makes colourful marks, you start scribbling colours everywhere. Then you become a child, a little more dextrous, a little more sophisticated in reasoning. The crayon in your hand is now making recognisable shapes, the ‘Adult fear’ hasn’t yet appeared, so you’re still happy making these shapes and not worried that they don’t look perfect. (That bottle is still a bottle, or maybe a cup… but now you can decide when you would like to drink it. But that is me digressing) The child age is the perfect time to take that potential you were born with and absorb new skills easily. You’re not afraid of getting things wrong, or at least looking back on it – you don’t remember having any fear. As an adult it’s becoming harder and you can now be tentative towards learning new skills. Negative feelings can take control. Fear of getting it wrong, fear of looking stupid, that you’re not good enough from the start. You start thinking you can’t do this new skill, so you stop even before you’ve given it a good go. On a personal note, I’ve been trying to draw for as long as I can remember. I was given many sketchbooks as a child. I don’t recall being very good at it in the beginning, however, I found a lot of joy in it, so I continued to practise. Eventually, with a lot of repetition and joy, the scribbles became objects, and some could say, ‘artwork’. My knitting adventure also started when I was young. It began back in my Brownie troop, I needed to get my Knitting badge and I didn’t know how to start. This led to me being taught by my Nana. Now this is quite a few years ago, but I don’t remember being good straight from the start. I vaguely recollect getting things wrong but not being worried about it – I kept trying till I got it right. Basically, there were a lot of holes, missed stitches and the like. What I think I’m getting at is – I wasn’t born with the skill, I had to work at it. I’m still working on it to this day. What I was born with was the notion to try. I’ve now been knitting for, let’s just say many years and I’m still learning new techniques. If I get something wrong, I work at it till I get it right. My crochet journey was a little different. Learning crochet started as an adult. This was after I’d said goodbye to my Nana, but before You Tube tutorials were everywhere. So, I had to teach myself from books. As an adult, learning is a little different. You see other adults (even kids) crocheting with ease, and here you are, all fingers and thumbs. The link from your brain to your fingers holding the yarn and the hook, doesn’t flow freely. 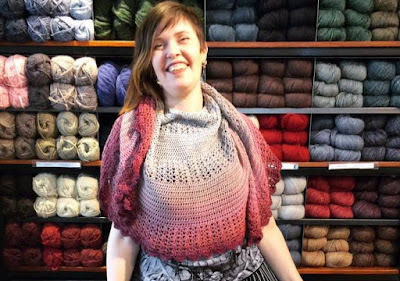 You start thinking – I can knit well, why can’t I crochet yet? You’ve forgotten that it took time to learn to knit – it wasn’t instantaneous. This is that ‘Adult Fear’ I mentioned earlier. You’re afraid of looking stupid, but usually you must get things wrong before you get it right. So, I decided to ignore these feelings after a while and I stuck at it. I may now crochet like a knitter, but it works for me. I hope I’ve stuck to my brief and haven’t rambled on too much. Looking over my few words, my philosophy agrees with Tabula Rasa. We’re not born with talent, that all we know comes from experience and perception. If you’re trying a new skill or craft and feeling some self-doubt, stick at it. Practice some more, tell that Adult fear to get lost. Pretty soon, you’ll end up producing a fab design like Anna’s ‘De Anima’.